It was very offensive and local Muslims demanded he take it down. 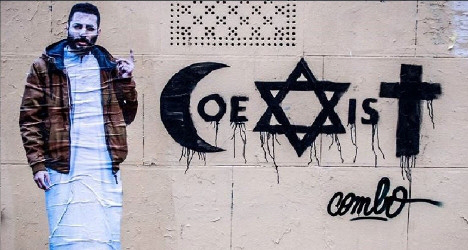 Four Muslims in Porte Dorée (the Golden door), a ghetto east of Paris, beat artist Combo after he refused to take down his Coexist street art. Combo suffered a dislocated shoulder, bruises and a black eye. But in Paris, this particular iteration of the popular inscription—here, created by the street artist Combo, who also pasted a life-size photo of himself next to it—didn’t go down well with everybody. Le Monde reports that four young people asked the artist to remove it last weekend, and beat him up severely when he refused to do so. Combo ended up with a dislocated shoulder and many bruises. 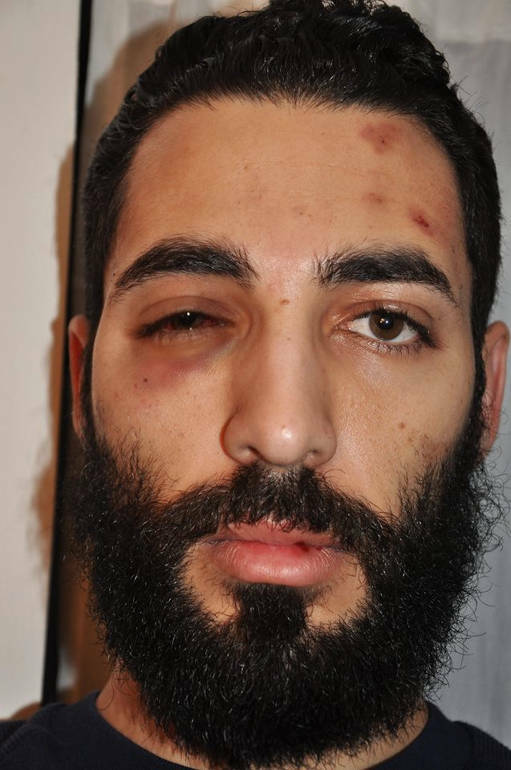 The attack is characteristic of the inter-religious tensions that plague France and have been exacerbated by the Charlie Hebdo tragedy (see 12 Killed at Magazine Previously Attacked for Satirical Cartoons). Combo declined to discuss the identity of his assailants. “It would only add fuel to the fire,” he told the French newspaper.